Erica focuses her practice on environmental matters. Prior to joining Taft, she served as Deputy General Counsel for the National Association of Clean Water Agencies (NACWA) in Washington, DC, where she worked to advance NACWA’s legal advocacy on behalf of publicly owned wastewater and stormwater utilities nationwide. Erica has significant experience representing clients on Clean Water Act matters, and has worked extensively with municipalities on clean water legal and regulatory issues. Her work includes counseling clients on NPDES permitting, compliance, and appeals; stormwater permitting; and enforcement defense. 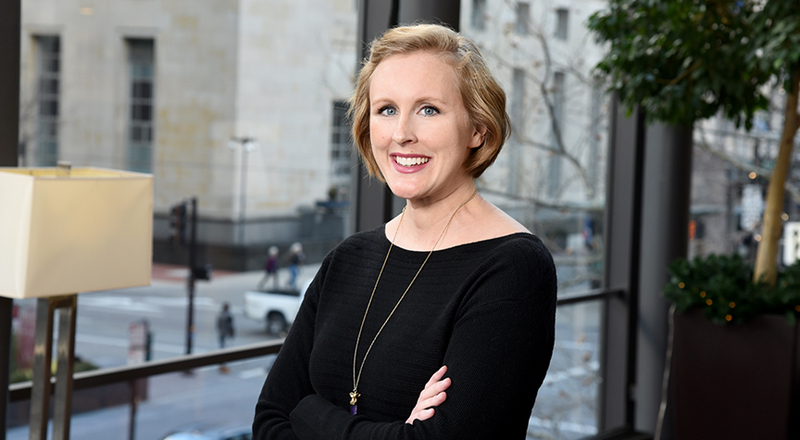 Erica also served as an Assistant Attorney General for the State of Ohio, where she litigated Clean Water Act and Safe Drinking Water Act enforcement matters and administrative appeals. Erica received her J.D. from Georgetown University Law Center, and her Bachelor of Arts in Political Science from Franciscan University of Steubenville. Chapter: Water Rights Based on State Law, Robert Abrams and Latravia Smith, eds., Water Rights and Environmental Regulation: A Lawyer’s Guide (2018). Presumed Compliant? Meeting Twenty-First Century Combined Sewer Overflow Goals with (or without) the Presumptive Approach, American Bar Association, Natural Resources & Environment Volume 31, Number 4 (Spring 2017). Flint, Michigan: The Water Crisis We Must Not Forget, Public Sector Digest (Spring 2016).